SEGA game designer Yu Suzuki will be holding a discussion on the development of SEGA's massively popular flop, Shenmue, at GDC this year. A wide range of topics are expected to be covered, from its roots as a Virtua Fighter RPG all the way to its final open-world form on the SEGA Dreamcast. Yu Suzuki is pretty much the father of SEGA. Most would point to Sonic the Hedgehog and Yuji Naka as their introduction to SEGA and as the source of its rise to take on Nintendo for video game dominance, but the truth is long before the Genesis, SEGA was already a huge hit on the arcade scene in Japan, thanks in part to Yu Suzuki. Space Harrier, After Burner, Hang-On, Out Run, and all the revolution 3D techniques used in Virtua Fighter, Virtua Cop and Virtua Racing, Suzuki's works have had profound effects on the gaming industry. 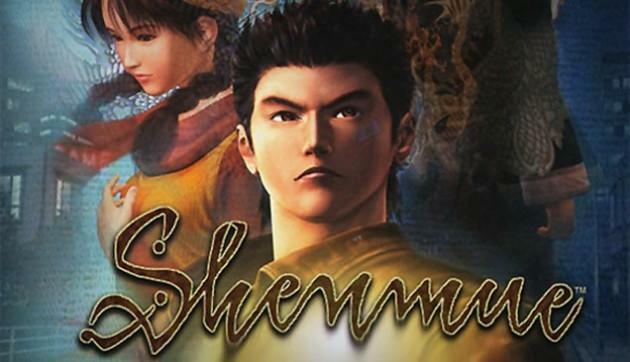 However, in spite of his massive early success, he is best remembered nowadays for Shenmue and having left his martial arts masterpiece unfinished. This will be the first time Suzuki has ever discussed the mysterious development of Shenmue in public, which has plenty of fun rumors to dig out from under the Internet. My favorite is that he cast the voice actors based on their looks rather than their acting abilities, which led to the game's infamously terrible dialogue delivery. I wonder if that is true or not. Guess we'll find out at GDC once Suzuki finally spills the beans on this beloved failure.